I am heading off on an expedition to the Scottish Highlands and islands, Lofoten Islands, Spitsbergen, Greenland and Iceland. The map at the right gives a rough impression of the intended route overall though distances are misleading because it uses Mercator’s projection and the northern regions are somewhat close to the North Pole. 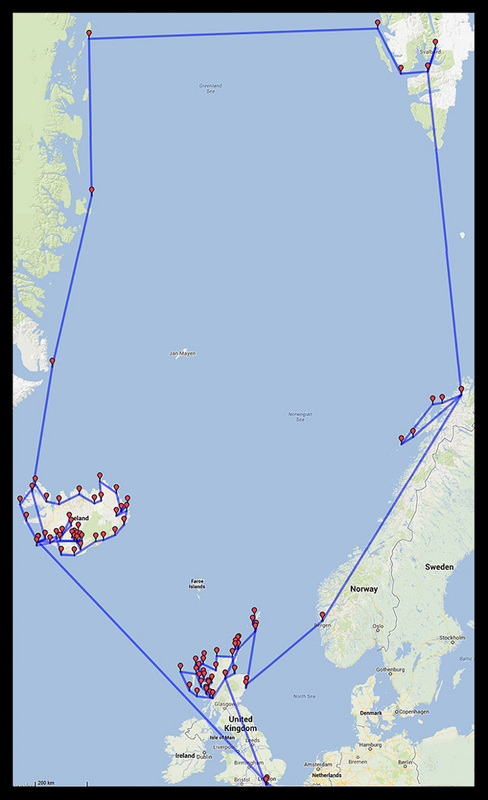 It is a significant logistical exercise involving I think 15 flights, 7 car or camper rentals, 17 ferry journeys (mainly with vehicle), 3 photographic boat or ship trips, 22 Bed and Breakfasts or hotels and taking 84 days. First I am flying from Canberra to Inverness, driving round the North-West Highlands and visiting Lewis, Harris, Skye and Mull. 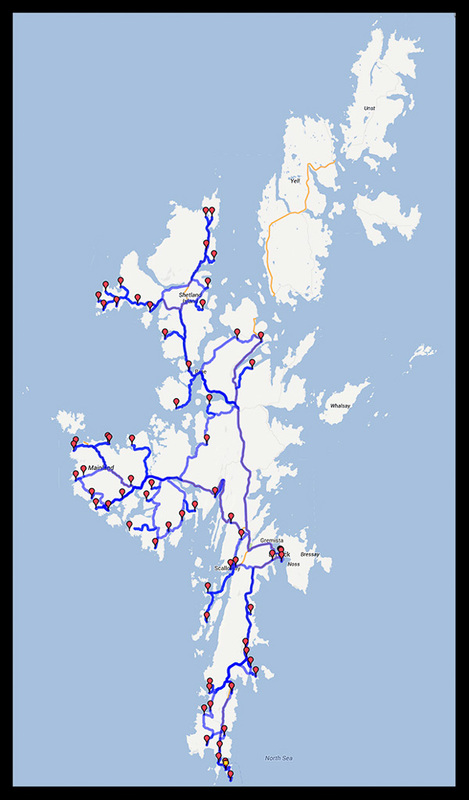 Then there is an 8-day photographic boat trip to the Hebrides including St Kilda (not shown on the map). Finally I return along Loch Ness to Inverness. I am am expecting to encounter landscapes, crofts, ruined castles, brochs, standing stones and some wildlife. From Inverness, I fly to Orkney. On one day I will be visiting the remote northern islands of Westray and Papa Westray. 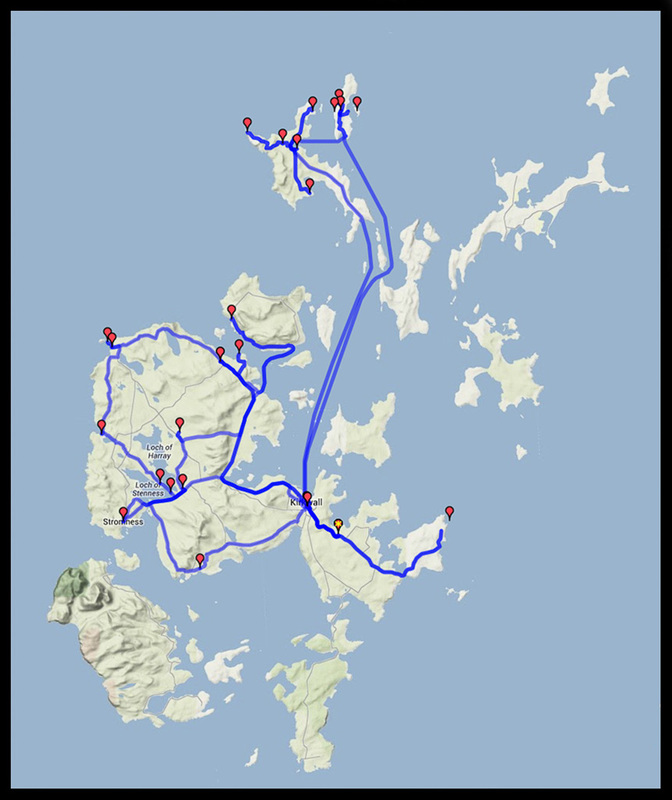 Other than that I will be mainly on Mainland (the largest island) apart from a brief visit to Rousay. Orkney has remarkable archaeological sites that go back to the neolithic (late stone age) including chambered cairns, standing stones, houses and brochs. There are also ruined mediaeval churches and a castle and some old traditional farm buildings. Next stop is Shetland, similar to Orkney in many ways but more isolated. I made the bookings before I had read sufficiently widely and I could have allowed more time here. 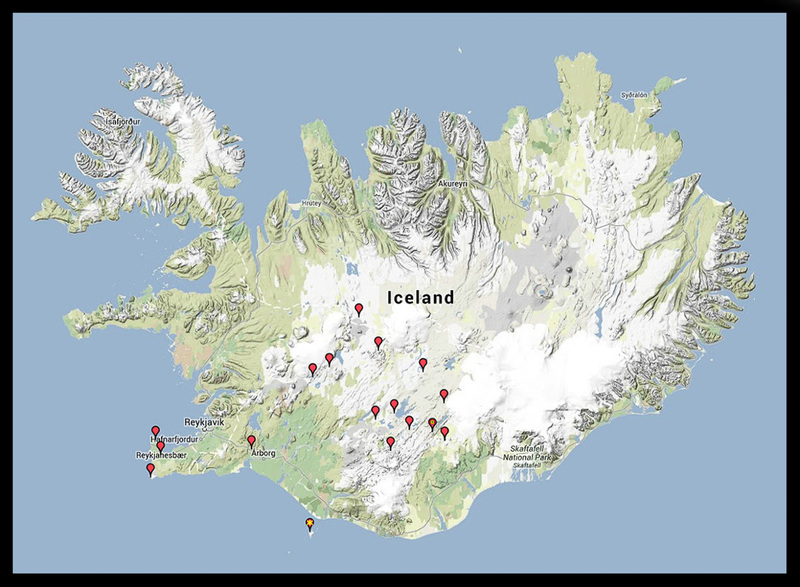 The climate worsened here thousands of years ago and farmland turned to peat and became much more marginal. This means there are many ancient remains that were not overbuilt. Interest here includes landscapes, abandoned villages, ruined churches and castles and neolithic settlements. I start with a nighttime visit to an almost-intact broch with storm petrels returning to roost. I hope I do not encounter too many days of continuous rain in Scotland and the islands. From Shetland I fly to Aberdeen and visit a ruined mediaeval castle nearby. From Aberdeen I fly to Tromso in northern Norway and spend some time in the Lofoten Islands. This is mainly a place for landscapes and seascapes with small mountainous islands and old wooden villages by the sea. Next I fly north to Spitsbergen and have booked on a one-day cruise to an abandoned Russian settlement. 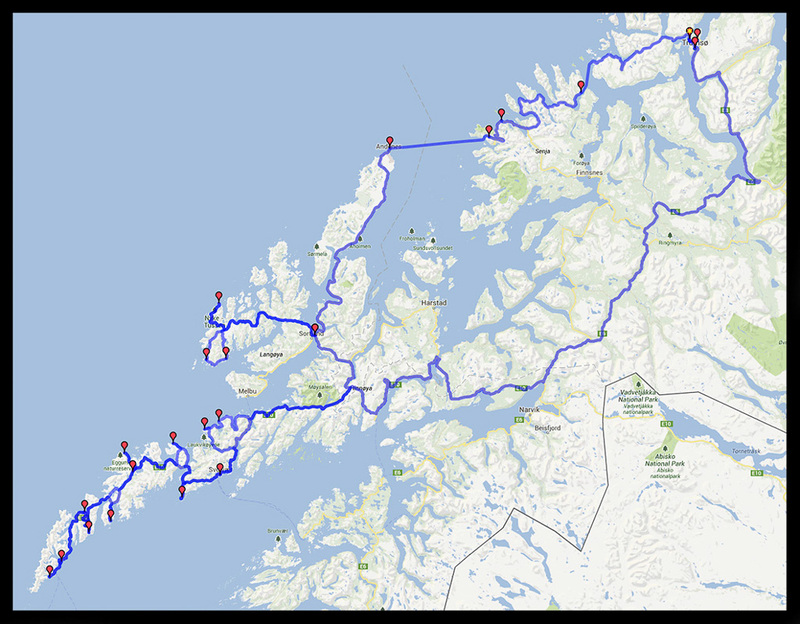 I then join an Aurora cruise, up the coast of Spitsbergen, then across and down the coast of Greenland to Iceland. There will be arctic seascapes and wildlife. 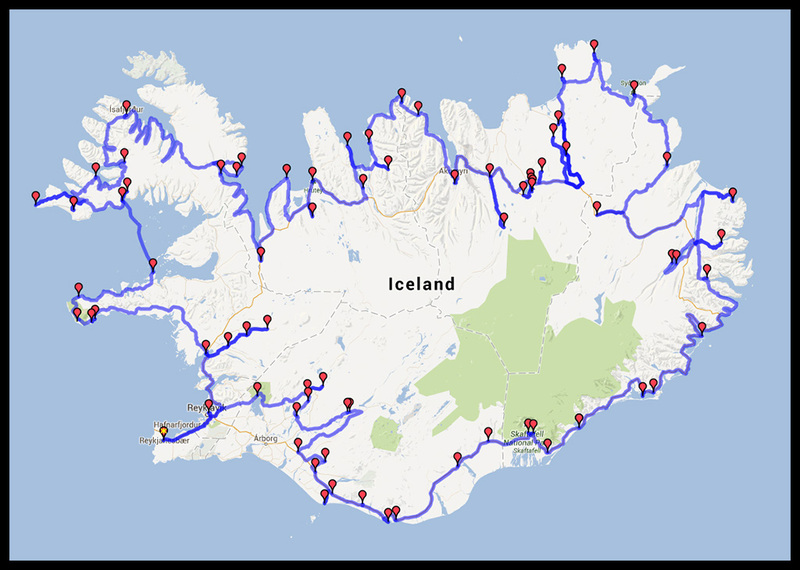 In Iceland, I pick up a 2WD camper and drive around it. Hopefully this will allow me to sleep mainly during the day and be up for the low-light periods around the short night. My interests are mainly landscapes, remains of saga times and to some extent wildlife. After driving around in a clockwise direction I return the camper and pick up another one, this time a 4wd, for some of the rugged roads and landscapes in the interior. Finally, after a day in Reykjavik, I return to Canberra. My intended itinerary follows as a separate post.